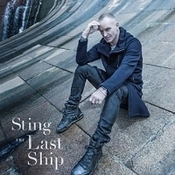 Sting.com > News > Uprising of Love - Benefit Concert to Feature Sting and Patti LuPone - September 15 in NYC! 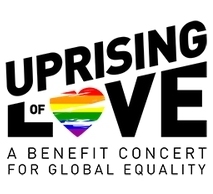 On Monday, September 15, Executive Producers Stephen Schwartz (Wicked, Godspell, Pippin) and Bruce Cohen (American Beauty, Milk, Silver Linings Playbook) will present Uprising of Love: A Benefit Concert for Global Equality at Broadway’s Gershwin Theatre. 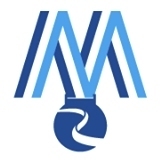 Featuring performances by 16-time Grammy Award-winner Sting and two-time Tony Award and two-time Grammy Award-winner Patti LuPone, this event strives to remind global leaders that "the world is watching" and to raise significant funding for grassroots organizations and activists around the world. The net proceeds of this event will go directly to Fueling the Frontlines, a three-year, $20 million campaign for global LGBTI rights led by the Astraea Lesbian Foundation for Justice. Astraea is the only philanthropic organization in the United States solely dedicated to advancing LGBTI rights globally. Tickets range from $50 - $250 and are now on sale through www.uprisingoflove.org/benefitconcert. The event begins at 8pm. Uprising of Love is a global movement to support the safety and dignity of LGBTI people around the world. Co-founded by Melissa Etheridge, Dustin Lance Black, Bruce Cohen, and dozens of prominent individuals in entertainment, sports, business, and politics, the campaign was initially launched leading up to the Sochi Winter Olympics to shine a light on Russia’s anti-gay laws. Uprising of Love is now focused on raising awareness and funds for activists making a difference on the ground in every part of the globe where LGBTI safety and dignity is compromised.